Julienne Cut your favorite raw veggies. Chop up some fresh herbs. 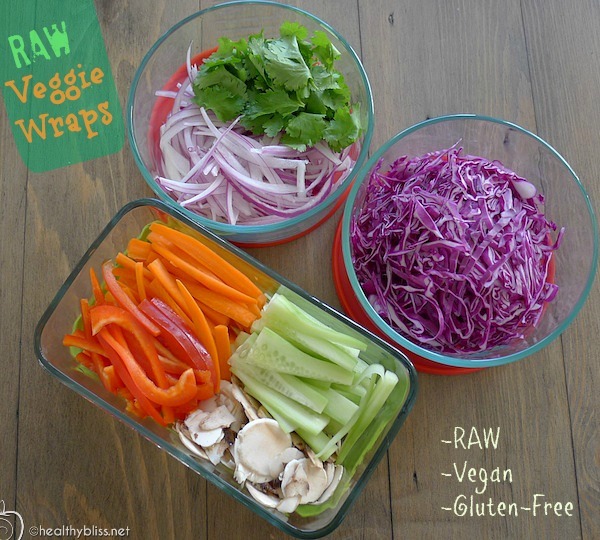 Raw veggie wraps are a great way to eat salad with your hands and enjoy the feeling of eating a wrapped tortilla again, except this one is all raw and gluten-free! These are great for lunch or a raw food potluck or even to take to a family gathering and let people see how beautiful real, raw food can be! In this recipe, I simply took what raw vegetables I had at home and julienne-cut the veggies into long, narrow strips. In this case, I used carrot, red bell pepper, cucumber, red cabbage and mushrooms. I also chopped up some fresh cilantro (coriander) and some red onions. Note: the taste of red onions is very strong when they are raw! If it’s too strong for you, then you can always leave them out! I prepared all the veggies in advance. Then I made a quick raw marinade to drizzle over the veggies and let them sit for 2-3 hours. Every time I make this recipe, I used slightly different ingredients and I make different dressings…and you should too! That makes it fun! For this marinade, I used 1/3 cup raw apple cider vinegar, 3 Tbsp. extra virgin olive oil, 1/2 fresh lemon squeezed, dash of cayenne pepper, 1 teaspoon dried Zatar spice (a Middle Eastern Spice made from Thyme and Sesame Seeds) and a dash of Himalayan Salt to taste. 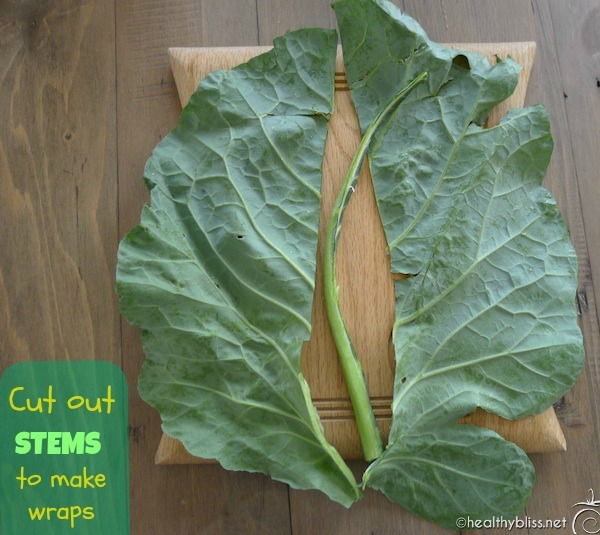 Collard Greens are a great choice for wraps because they’re flat and very big! The next step is to wash and prepare the Collard Greens. Slicing out the stem is a good idea so you have 2 nice flat halves to use for wraps. For the smaller leaves that don’t have such a thick stem, you can leave them as they are. 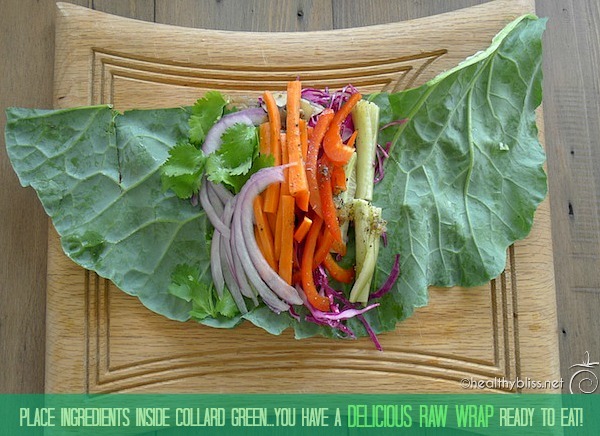 Be creative with your wraps! Use different ingredients and dressings every time! 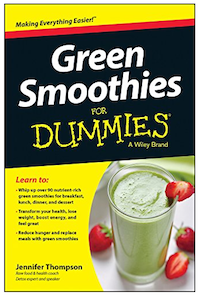 Finally, you are ready to make some raw vegan wraps! Other optional sauces to include are Raw Tahini Dressing, Homemade Spicy Mexican Salsa or Raw Pumpkin Seed Cheese. Be creative! 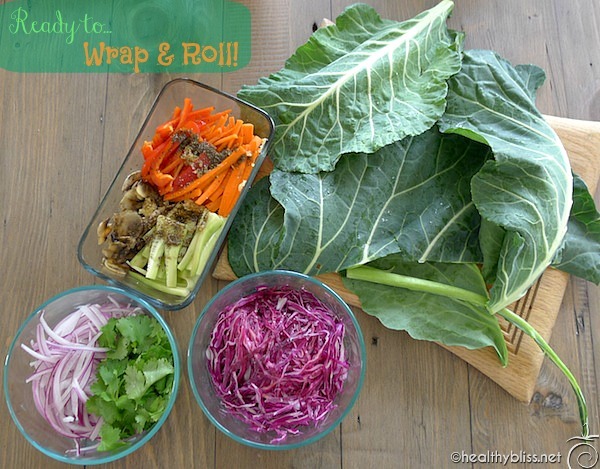 Get some toothpicks ready to pin your wraps together. Have some toothpicks on hand to keep your wraps closed after rolling! 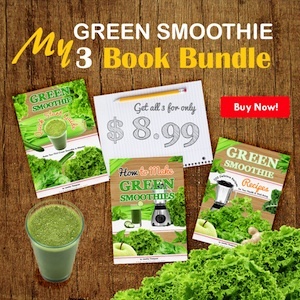 Isn’t organic raw food so beautiful and inviting, full of natural color from the earth? 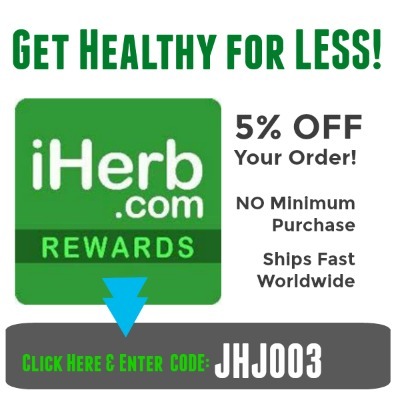 No need for flavor enhancers, chemical coloring, preservatives or any carcinogenic food additives! Et Voila! 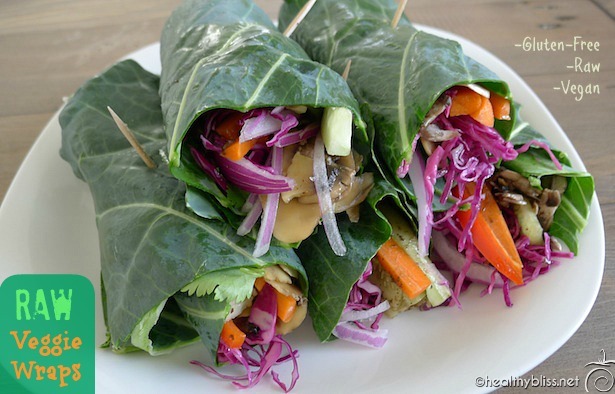 You have beautiful wraps that are all raw, vegan and gluten-free!